1. Italy is geographically close to several conflict areas in the Middle East and North Africa and has relatively porous borders. 2. The country has recently received a large influx of irregular migrants, many of whom hail from Muslim majority countries and conflict areas. Upon entry to the country, they often live at the margins of society and are potentially vulnerable to radicalization processes. 3. Historically, Italy has been a logistical base for various jihadist groups since the early 1990s. 4. Italy represents a symbolic target for jihadist groups. Rome in particular has great iconic value as the cradle of Christianity and a major symbol of Western civilization. The city has frequently been mentioned as a target in jihadist propaganda. 5. The Italian government has played an active role in various conflicts in the Greater Middle East, from Libya to Afghanistan. Yet, somewhat counterintuitively, so far Italy has not faced a particularly intense challenge from jihadist terrorism. Levels of domestic radicalization are significantly lower than in most other European and Western countries. In terms of attacks, aside from a couple of low-level plots that were thwarted or failed, there have not been any successful terrorist operations on Italian soil since 9/11. It is particularly noteworthy that this trend has continued since the rise of the self-proclaimed Islamic State (IS) from 2014 onward. This period has been marked by major attacks in Belgium, Denmark, France, Germany, Spain, Sweden, the UK, and other Western countries. Indeed, in recent years most Western countries have experienced a significant increase in radicalization levels, driven primarily by the battlefield successes and pervasive propaganda efforts of the so-called Islamic State. Although it remains unscathed, Italy has not been immune to this danger. For example, the latest annual report to Parliament of the Italian intelligence community, published on 20 February 2018, confirmed that “[F]or Italy, the terrorist threat remains current and concrete, not just as a result of the important role that our country has always occupied in the jihadist imaginary and narrative, but also for the presence on the national territory of individuals who are radicalized or otherwise exposed to radicalization processes”. These dynamics have affected both first generation immigrants and an increasing number of individuals who were born and / or raised in Italy. In the latter group, only a few with immigrant origins possess Italian citizenship, due to the strict nature of Italian citizenship laws, but there is also a disproportionately large cross-section of Italian converts. As in most Western countries, Italian jihadists constitute a very heterogeneous group. However, the recent growth of the Italian jihadist scene pales in comparison to the surge that other Western European countries have experienced. While Italy is beginning to experience dynamics typical of homegrown jihadism, such as the production of propaganda written or translated into Italian, the jihadist scene remains relatively tiny and unsophisticated. Data on foreign fighter mobilization provide interesting empirical evidence in this regard. According to the latest information released by the Italian Interior Ministry on 30 December 2017, 129 individuals with ties to Italy left the country to join various jihadist groups in Syria, Iraq and other Middle Eastern conflict zones. Islamic State was the biggest recruiter. However, only a minority of these individuals, probably numbering no more than 30, are Italian citizens. Among these 129 foreign fighters, 42 have already died and 23 have returned to Europe. The minute scale of these numbers is quite striking when they are compared with recent estimates for other large European countries. France leads with around 1,900 fighters. Germany has 900 and the United Kingdom around 850. In fact, the numbers are notably low even when compared with small countries such as Belgium, which provided 470 fighters, and Austria and Sweden with 300 each. The relatively limited extent of the threat in Italy can be attributed to a variety of factors. The role of counter-terrorism deserves particular attention. In fact, according to many experts, the Italian system has proved itself to be effective. This can be traced back to Italy’s long history of confronting domestic terrorism and organized crime. Over the decades, Italy has had to respond to many forms of domestic terrorism. Above all, it contended with both left-wing and right-wing terrorists from the late 1960s to the 1980s in what were called the anni di piombo (the years of lead). It has also faced ethno-nationalist threats in the German-speaking province of South Tyrol in the 1960s and anarchist threats, especially since the early 2000s. In particular, the far-left Red Brigades (Brigate Rosse, BR), founded in 1970, was the most dangerous extremist group in Italy’s postwar history and distinguished itself as one of the most powerful terrorist organizations in Europe. It decisively contributed to shaping the national counter-terrorism approach. Turning to organized crime, Italy has a notoriously long and intense history of struggle against large, deeply entrenched and sophisticated criminal organizations, led by the Sicilian Mafia or Cosa Nostra, the ’Ndrangheta in the region of Calabria and the Camorra in the region of Campania. In this respect, it is important to note that there is currently no conclusive evidence of institutional cooperation between mafia organizations and jihadist groups in the country. In all these struggles, the Italian authorities developed sophisticated skills and robust legal tools that are crucial in confronting jihadist terrorism. At the operational level, the national counter-terrorism system has shown a considerable level of coordination. A good example of interagency cooperation is seen in the work of the Committee for Strategic Anti-Terrorism Analysis (Comitato di Analisi Strategica Antiterrorismo, CASA). CASA was established in 2004 within the Interior Ministry to collate and evaluate intelligence about internal and international threats and to plan and coordinate prevention activities. CASA is a lean and flexible body composed of representatives of the law enforcement agencies and the intelligence services. In general, Italy gives priority to the criminal justice system in its approach to counter-terrorism. Italian authorities have ample powers to conduct lengthy surveillance operations and pre-emptive raids. These operations have been facilitated by the introduction of new measures that boost the investigative powers of the police in the field of counter-terrorism. They include wiretapping and preventive communications surveillance, arrest and police detention, collection of information in prisons, and undercover activities. 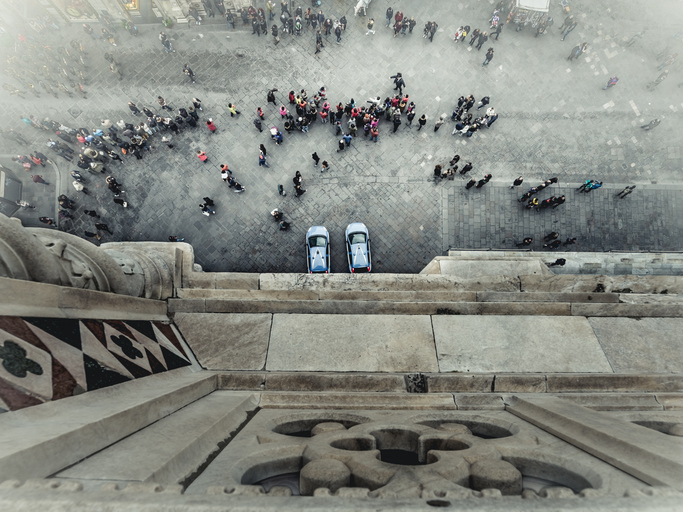 Moreover, over the last few years, Italian lawmakers have passed various laws designed to strengthen the country’s already extensive counterterrorism legislation and adapt to the current threat. Deportation of foreign suspects, in particular, has arguably been the cornerstone of Italy’s counter-terrorism strategy. In fact, two antiterrorism laws adopted in 2005 and in 2015 expanded the grounds for the administrative deportation of non-EU citizens. Between January 2015 and February 2018, the authorities deported 261 extremists for reasons of state security. In the first two months of 2018 alone, there were 24 expulsions from the country. These efforts have been ramped up considerably – between 2001 and 2014 Italy usually deported fewer than 20 individuals per year on security grounds. In practice, administrative deportations are often ordered when evidence against an individual is deemed insufficient for prosecution, but sufficient enough to determine that he or she may pose a threat to national security. According to various experts, the wide-ranging use of this tool is an important factor in maintaining low levels of radicalization in the country: fast-track deportations can help to prevent the formation of extremist networks on Italian territory. However, on the negative side, it should be noted that these traditional pressure tactics have not been accompanied by an equally robust preventive approach. Unlike most Western countries, in fact, Italy has not developed any systematic program or strategy for counter-radicalization or de-radicalization. In the summer of 2017, Italy’s Lower House did pass an important draft law introducing “measures for the prevention of jihadist radicalization and extremism” for the first time. But this legislative proposal was not formally adopted by the Upper House before the dissolution of Parliament in December 2017. In many respects, this is regrettable because “soft” counter- and de-radicalization measures would make for an important completion of the set of counter-terrorism instruments available in the country, further strengthening the capacity to respond to the jihadist threat. In particular, L. Vidino, Islam, Islamism and Jihadism in Italy, in «Current Trends in Islamist Ideology», Vol. 7, 2008, pp. 7–27: https://www.hudson.org/research/9813-islam-islamism-and-jihadism-in-italy. See, in particular, L. Vidino, Home-Grown Jihadism in Italy: Birth, Development and Radicalization Dynamics, Foreword by S. Dambruoso. Milan, ISPI and European Foundation for Democracy, 2014: http://www.ispionline.it/it/EBook/vidino-eng.pdf. Presidenza del Consiglio dei Ministri – Sistema di Informazione per la Sicurezza della Repubblica, Relazione sulla politica dell’informazione per la sicurezza 2017 (in Italian), 20 February 2018, p. 38: http://www.sicurezzanazionale.gov.it/sisr.nsf/wp-content/uploads/2018/02/Relazione-2017.pdf. L. Vidino, Home-Grown Jihadism in Italy: Birth, Development and Radicalization Dynamics, Foreword by S. Dambruoso. Milan, ISPI and European Foundation for Democracy, 2014: http://www.ispionline.it/it/EBook/vidino-eng.pdf. Among others, F. Marone, Ties that Bind: Dynamics of Group Radicalisation in Italy’s Jihadists Headed for Syria and Iraq, in «The International Spectator», Vol. 52, No. 3, 2017, pp. 48-63: https://www.tandfonline.com/doi/abs/10.1080/03932729.2017.1322800. F. Marone, The rise of insurrectionary anarchist terrorism in Italy, in «Dynamics of Asymmetric Conflict», Vol. 8, No. 3, 2015, pp. 194-214: https://www.tandfonline.com/doi/full/10.1080/17467586.2015.1038288. F. Marone, “The Italian Way of Counterterrorism: From a Consolidated Experience to an Integrated Approach”, in S.N. Romaniuk et al. (Eds. ), The Palgrave Handbook of Global Counterterrorism Policy, London, Palgrave Macmillan, 2017, pp. 479-494: https://www.palgrave.com/us/book/9781137557681. In particular, Peter R. Neumann and Rajan Basra, The Crime-Terror Nexus in Italy and Malta, Report, The Crime Terror Nexus, February 2018: https://crimeterrornexus.com/wp-content/uploads/2018/02/Crime-Terror-Nexus-Italy_eng_web.pdf. F. Marone, The Use of Deportation in Counter-Terrorism: Insights from the Italian Case, ICCT – The Hague, March 2017: https://icct.nl/publication/the-use-of-deportation-in-counter-terrorism-insights-from-the-italian-case/.